Talalay Latex is known in the mattress industry as the highest quality component on the market. Of the two processes for curing latex, Talalay yields a more consistent feel and quality. The Dunlop process, in contrast, yields a product that is better suited for one-sided constructions. This is due the to inconsistent firmness levels (also known as IFD or ILD) top to bottom. Our Talalay Latex Mattresses are constructed of a full 6" core topped with your choice of more Talalay Latex or a layer of our high density cooling gel-infused memory foam. This construction is then topped with a high quality Tack and Jump Bamboo Knit quilt for a luxurious feel. 100% Talalay Latex-What does that mean? 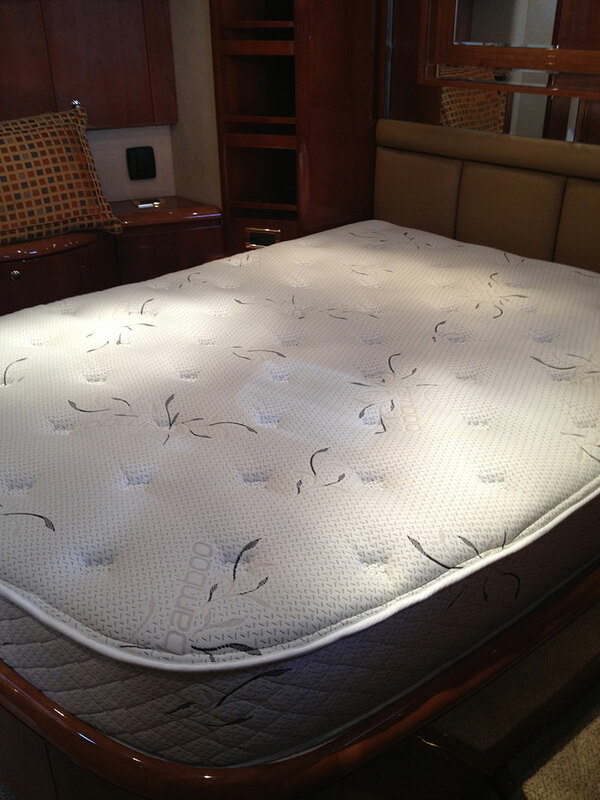 Unfortunately, there are many tricks, tactics, and myths in the mattress industry. Sure, we have to make sales to survive, but we strive to maintain an open and honest approach to our interactions with clients. When we say 100% Talalay Latex, we mean we start with a full 6" Talalay Latex core. Contrast this with our biggest competitors in latex: 6" Mid-Grade polyurethane foam core topped with 3" Dunlop or Talalay Comfort Layer. In this case, the sales person claims they are using 100% Latex-of course they are! 3" of this mattress is 100% Latex. Unfortunately, this contruction leads to a one-sided lightweight mattress that retails for far more cost than our two-sided high quality construction. Another consideration is the country of origin. All of our Talalay Latex is Made in America. In fact, go to our "Links" page and follow the link to Latex International. They source all our latex products and are THE most reputable latex manufacturer in the world! It is important to do your research! Unfortunately, research on the internet is difficult at best. We are all trying to sell you something, therefor will bolster our product line. The bottom line in latex is simple: Talalay Latex is more expensive to purchase in raw form than Dunlop Latex. We could easily use the cheaper product and sell it to you for the same price. After all, how would the consumer ever know the difference? We choose to incur the extra cost of the raw goods to ensure you get the best quality your money can buy.